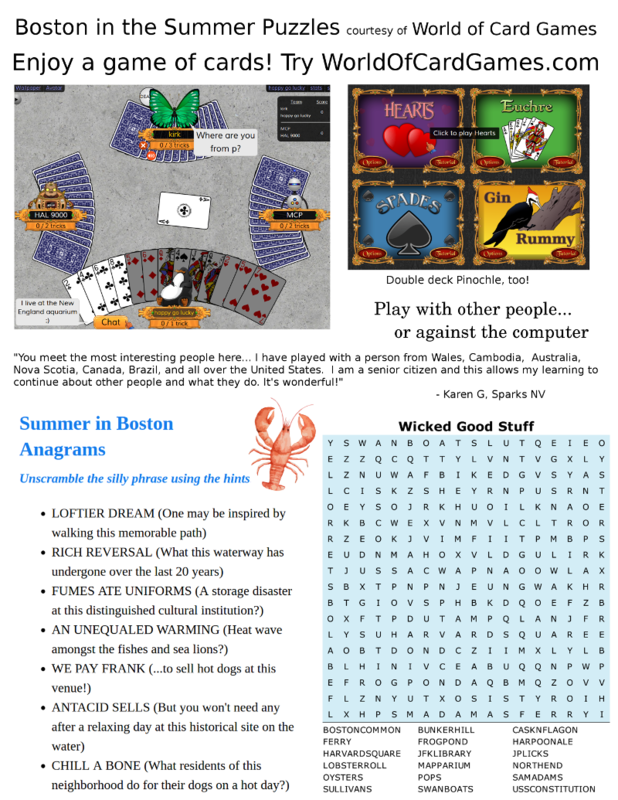 World of Card Games has sponsored a flyer with some themed word puzzles to celebrate summer in the Boston area! 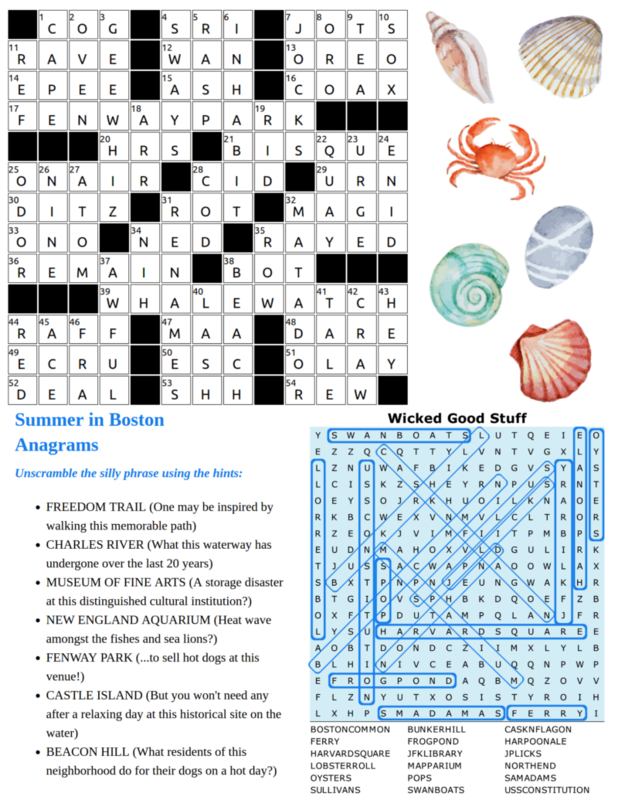 There's a crossword puzzle, some anagrams, and a word search. 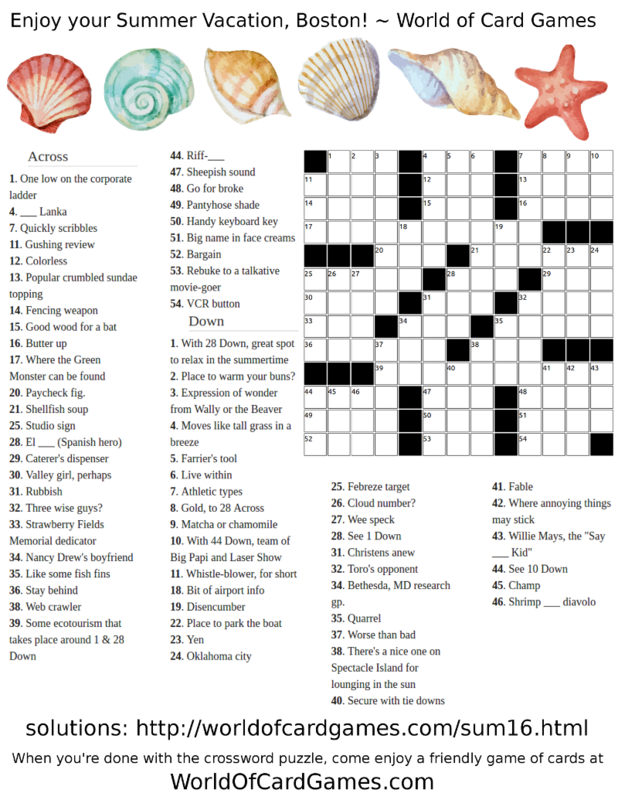 For those who couldn't get a paper copy, I've made the puzzles available online here. If you scroll down to the bottom of the page, you'll find the solutions, too. Have fun solving these!